Whether Orioles third base coach Bobby Dickerson was signaling pitch location to his team’s hitters is almost beside the point. The Yankees thought he was doing it, and that’s enough. 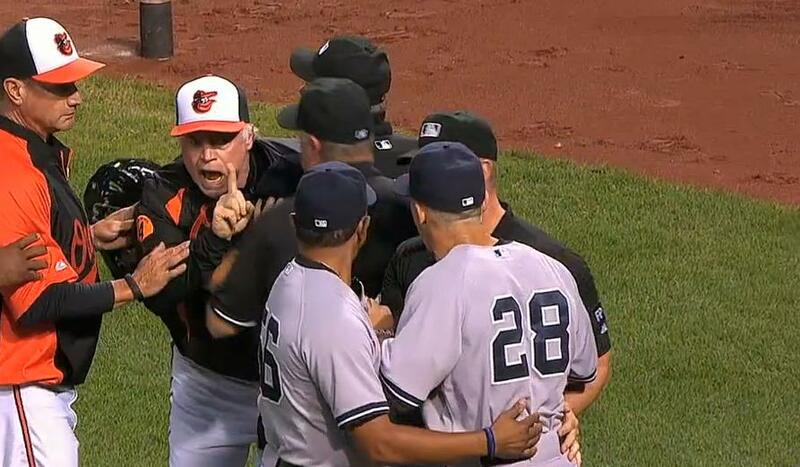 The dispute emerged at the end of the first inning of Monday’s game, when Buck Showalter raced from his dugout to yell at Joe Girardi for giving Dickerson a hard time from the Yankees dugout. According to Dickerson, the abuse started with Baltimore’s first hitter of the game, Nick Markakis (who hit a ground-rule double). ” ‘I know what you’re doing,’ ” Girardi yelled, according to Dickerson. This means that if Dickerson was doing something suspicious, it probably wasn’t the first time. The only way the Yankees could be on something like that so quickly is if they were already aware of it and paying particularly close attention from the game’s first pitch. Showalter should be commended for taking up for his guy—which he did in the most visible way possible, with sufficient animation that the benches cleared (watch it here)—but Girardi is the one on solid footing here. If Dickerson was indicating location (Yankees catcher Austin Romine insisted that he had the signs themselves well protected), he was fulfilling a longstanding duty of base coaches throughout the history of the game. Not all of them do it, of course, but it’s expected—and accepted—that a certain number will. Coaches may bend at the waist to indicate one type of pitch, and stand upright for another. When Leo Durocher was coaching third while managing the Brooklyn Dodgers in the mid-1940s, he’d whistle to the hitter to indicate he knew the pitch. (Not only would he take it from the catcher, but he’d also peer in to the pitcher’s grip for clues.) Giants right-hander Ace Adams made a point once of showing him a curveball grip, which Durocher dutifully relayed. Adams, however, threw a fastball right at the batter. That, he said, stopped the whistling in a hurry. In the early 2000s, the Cardinals were convinced that Cubs first-base coach Sandy Alomar was signaling pitches to Sammy Sosa. St. Louis coach Jose Oquendo handled the situation via a face-to-face confrontation with Alomar, during which he urged (at top volume) the cessation of such activity. That said, Oquendo himself carries a reputation as an accomplished sign thief. 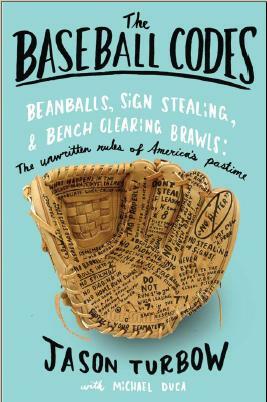 In an interview for The Baseball Codes, he admitted to stealing signs “every day” from the first-base coach’s box, but insisted that he used the information only to inform strategy for his team’s baserunners, never passing it along to hitters. All told, such efforts to tamp down this kind of activity are entirely expected. Which is precisely what Girardi did. As a manager, it’s his job to call out such intransigence as soon as he’s aware of it, at which point it becomes incumbent of the offender to knock off whatever it was he had been doing. Had Showalter played by the unwritten rules and remained in his dugout while making sure Dickerson laid low for a while, the outcome would have been no different—we’d just have heard nothing about it. But if Dickerson was not stealing signs, which we don’t know either way, Girardi is in the wrong. Markakis is fully capable of hitting a double without a stolen sign so that not proof. Like the Durocher story I think you have to test the theory first with some phony signs before you go mouthing off. True, maybe some backstory we don’t know about as we’ll. I really like that your book lives on through your blog and essentially never ends. Are other authors taking this approach? Can’t speak for other authors, but this topic is alive and well. Difficult to ignore, really. When it comes right down to it, if you don’t want someone stealing your signs, change them. As far as I’m concerned, as long as you’re not using anything but your naked eye and anything that would be considered a normal piece of equipment (such as a towel over a railing, or tilting your cap one way or another) it’s totally legal. Once binoculars or other things like that come into the equation, then it’s less than kosher. Plus, how would Dickerson have known the signs from the first batter of the game? Doesn’t it take some time to figure out the rapport between pitcher and catcher? The idea, as far as I can tell, is that he was tipping location, not pitch type. No sign thievery necessary. But you’re absolutely correct about the rest of it — and most everybody in baseball agrees with you. This kind of stuff is expected and accepted, with the caveat that once a team’s caught, it knocks off the activity in question for a while. Girardi caught the O’s doing something (or at least sniffed out the appearance of such), at which point it was up to Showalter to call of the dogs. Quietly.